At the end of the toast, the groom said, “Well, that was basically the roast of Grant Schmura.” Sorry, Grant, it was a little true. Everyone who spoke had kind, sweet words, but boy did they all pull out the big guns stories too. His sister had stories ranging from cute (she would dress him up in prom dresses and call him Gloria) to wholly shocking (she once dared him to lick their dog’s poop and he took a bite out of it – What?!). Maddie had her share of teasing as well (a reminisce about her long-time bowl cut hairdo and her eating worms phase). In the end though, all the teasing really showed two families joining – because what says family like the sharing embarrassing stories? Not only did we see Maddie and Grant make each other laugh all day, but their families seemed to get a kick out of each other as well. Whether it was the toasts, the many attempts at making a “putt for a kiss” or admiring the cake made in the likeness of Grant and Maddie’s bulldog, this was a group ready for a good time. 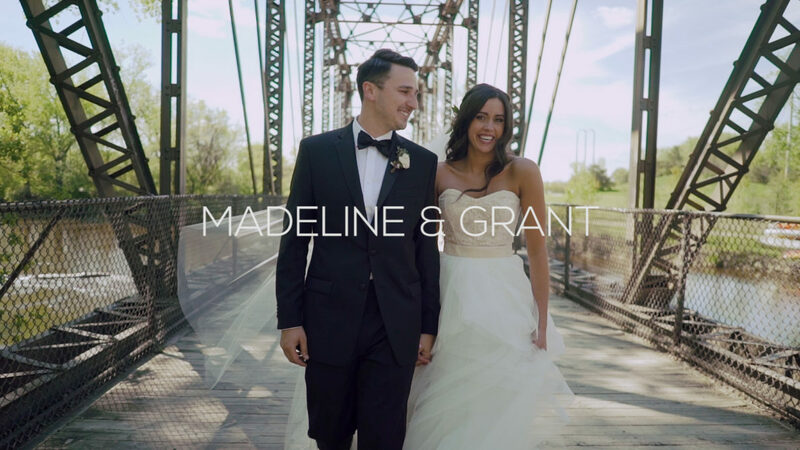 Grant and Maddie, thank for inviting us to capture this amazing day! wow wow wow, this is so wonderfully awesome. Fine work.